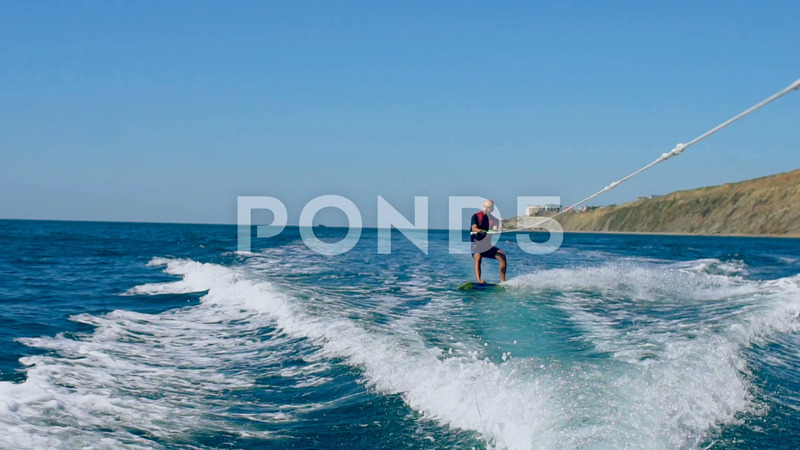 A Man In A Wet Suit Jumps In The Air On A Wakeboard, Summer Vacation At Sea. Description: A man in a wet suit jumps in the air on a wakeboard, summer vacation at sea. Slow motion 120fps.